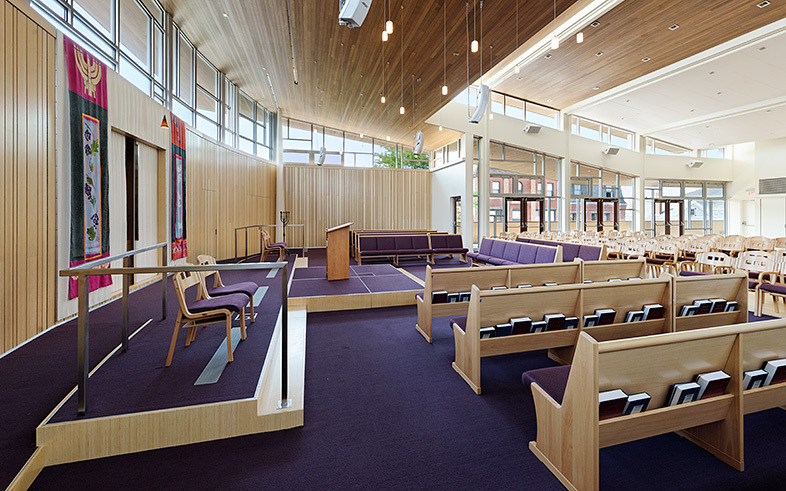 After a fire destroyed its synagogue in 2007, the board members of Temple Ahavat Achim selected Kaplan Construction to build a new 10,000 SF building within the footprint of the original structure. Kaplan incorporated 350 recovered granite blocks from the destroyed building’s walls and restored its charred mahogany doors and granite foundation stones to connect the new building to its past. Kaplan’s personal approach and dedication helped to build consensus among 200 families and the 15-20 members of the building committee. This was a learning process for many of us on the building committee and we couldn't be feeling more satisfied with our choice of Kaplan Construction to be our builder and for having their team in our corner.